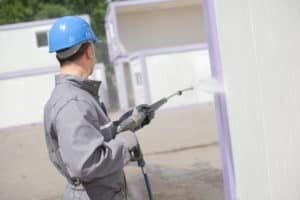 What to Look for In a Pressure Washing Company | Pro Wash LLC. Do you have cleaning ladies who come to your home every week? Does your lawn care service or your pool guy come by on a regular basis as well? Such services do wonders for you as a homeowner. They fill in the blanks when you don’t have time to take on the clutter inside or all the to-dos outside. But, there’s one more thing that goes into keeping a clean house: pressure washing. Pressure washing is a great investment to plan for at least once or twice a year. This helps keep your roof in good condition, cleans your driveway, and brings a little shine back to your shutters, too. It’s absolutely necessary. You can’t just let any power washing contractors work on your home, though. You need the best people for the job – and here are a few things to look for when searching for them. You probably wouldn’t want to be someone’s very first interior design client, or want to have a brand-new plumbing contractor fix your leaking kitchen sink. In the same way, you need a power washing team with experience. Check your local area for pressure washing services who have been working on homes and commercial buildings for years. The longer they’ve been around, the better. This lets you know these teams really know what they’re doing. But, experience doesn’t tell you the whole story. Once you’ve found a few options that have made a name for themselves in the area, start taking a closer look at who they are and what they do. Go to their reviews page to find out the juicy details. Customer reviews will tell you everything from how good a team’s work is to how much they charge. These statements often mention scheduling details and a team’s overall professionalism, too. Speaking of professionalism, double-check that each power washing company you’re considering is legit. The last thing you want is to hire someone who doesn’t have the proper licensing and insurance necessary to work on your home. A license to be a power washing contractor is a sign of good faith. It shows that business owners take their services seriously and aren’t trying to scam you. As unlikely as this may seem, scams on home services are more common than you might think. Not to mention, it’s possible for professionals to get injured on the job, which is why they need to have insurance. Otherwise, they may try to put compensation on you. Checking for insurance gives you peace of mind and provides power washers with the support they need should they need medical attention. Don’t be shy of asking for the details mentioned above. Many reputable power washing contractors are willing to give you customer referrals and show proof of licensing and their insurance, too. Once you get this out of the way, you can start talking about pricing. Remember, not all power washing services will charge the same amount, or expect the same timing of payments. Make sure everything is communicated up-front in a fair, reasonable manner. Some will ask for a percentage up-front while others will let you pay when the project is complete. Be wary of anyone who asks for full payment before they start working, though. Aside from protecting yourself from a scam, you want to have a little money left in your pocket in case you’re not satisfied with services. This way, you can talk to your power washers to go back over the roof one more time or do a better job on a certain part of the driveway. They may try to charge you a little extra, but you can use the rest of your payment as leverage to get the quality of service you deserve. It’s a good idea to invite a few pressure washing contractors over to your home to get an estimate for the services. This allows them to assess just how much work is needed and therefore give you as accurate of a rate as possible. More so, meeting with contractors face to face helps you get a better feel for them. As you’re discussing the areas that need to be washed, ask each contractor how they plan to take care of the situation. Inquire how many people will work on the job at once, the number of machines they use, and even the kind of cleaning product, too. Getting a headcount of how many people you can expect to work on your home is crucial. Sending one guy, for instance, could make the power washing last much longer than you’d like it to. But too many people, on the other hand, could cause a bit of a commotion. The point about cleaning products may come as a surprise, but it’s incredibly important. Power washers don’t just spray a bunch of water on your home, that would be like you washing your hands without any soap. Every reputable service uses some sort of cleaner/detergent to provide the best work possible. If you run an eco-conscious home you can ask about environmentally-friendly cleaners. However, these may cost you a little extra in addition to the pricing estimate you’ve been given. Keep that in mind as you weigh all your options and make your final decision. At the end of the day, the final choice comes down to you. The main thing is not to rush the process and do enough research to find the best pressure washing services available to you. Be sure to check that each option has a good amount of experience and the right reviews to show for it. Talk to them about their insurance coverage, the materials used, and how much you can expect to pay for the services you need. This way, you’ll get what your home really deserves without breaking the bank. To make your search process much easier, click here to see what we can do for you!